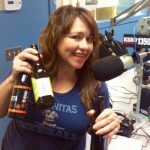 Brew Ha Ha is a live radio show and podcast all about craft beer and the people who are making great beer and big news in the brewing business. The show is produced live on Thursday afternoons at 5pm as part of The Drive on KSRO (Mon.-Fri. 3-6pm). With so many large and small craft brewers in the area, Brew Ha Ha is perfectly situated to have access to the most interesting people in the world of craft beer today. 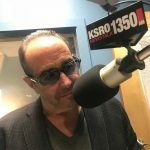 As the host of The Drive with Steve Jaxon, Mon-Fri 3-6 pm on Santa Rosa’s KSRO 1350 AM, Steve is the ratings leader and a superstar in Sonoma County. Listening to The Drive is like sitting in on the official round-table of Sonoma County, the Bay Area and the nation, with a steady stream of guests who join Steve to discuss anything and everything topical. Steve is President of Vicario Productions which produces The Drive, Brew Ha Ha, California Wine Country and other shows. 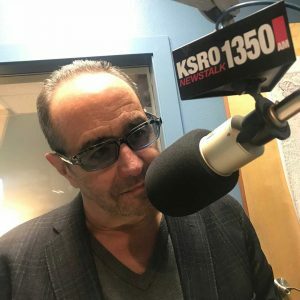 Brew Ha Ha is recorded live on Thursdays in the 5:00 hour, during The Drive (3-6pm) on KSRO, in Santa Rosa, California, in Sonoma County which is home to numerous craft breweries and craft beer lovers. Mark Carpenter says he was lucky to get a job at Anchor, when Fritz Maytag hired him in 1971. He would spend his career there, as brewmaster. He had been working for the telephone company for ten years previous to that, and wanted to get into a more interesting and pleasant line of work. 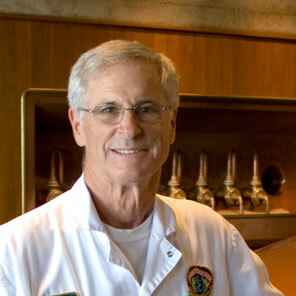 He guided Anchor to become one of the most awarded brewing operations anywhere and an institution in San Francisco. Today he is retired to his horse ranch in Petaluma, but remains active in the beer business as a consultant, commentator and beer drinker. He has an incredibly broad knowledge of beer that he brings to every episode of Brew Ha Ha. Herlinda Heras is one of the busiest and most well-connected people in the craft brewing world. She is the Coordinator of the Craft Beer Appreciation Certificate program at Sonoma State University, that’s when she isn’t traveling around the world attending conferences and judging in brewing competitions. She also presents “Brews News with Herlinda” on The Drive, on Thursdays before Brew Ha Ha, covering international news in the brewing business. Herlinda brings a wide range of guests to Brew Ha Ha, ranging from the most important and influential people in the brewing community all the way to some award-winning individual home brewers with great stories to tell. Here are small and large sizes of the Brew Ha Ha logo, for guests to download and to use when promoting their appearance on the show. BHH logo, 1400 x 1400 pixels @ 72 pixels/inch. BHH logo, 512 x 512 pixels @ 72 pixels/inch.